With our background as dairy farmers, taking the next step to beef was a natural one. And we saw an opportunity for a win-win in this diversification. The basic fact is that in order to give us milk, a cow has to have a calf. 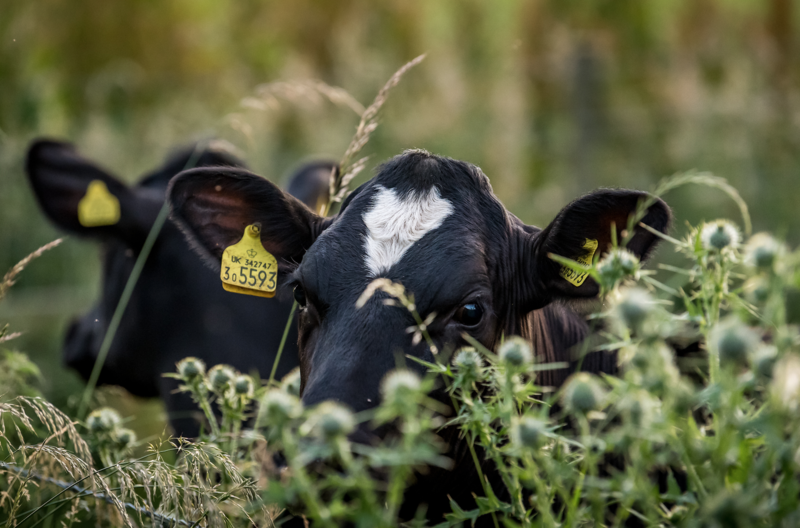 While heifer calves can be kept in the herd to become milkers themselves, bull calves have no job in dairy and are generally culled. This is because pure-bred dairy calves don’t produce the best beef. So we decided to cross breed our dairy cows with a beef bull, meaning no calves were ever surplus. It takes a while to get the mix exactly right, but we now use Shorthorn, Simmental and Limousin bulls with Holstein Friesian cows to produce stocky, muscular calves, perfect for our beef system. After they’re born, our calves stay with their mothers for 24 hours, giving them the chance to suckle her first milk (colostrum) that’s full of antibodies and health-giving properties. The calves then move into the nursery and mum goes back to the dairy. 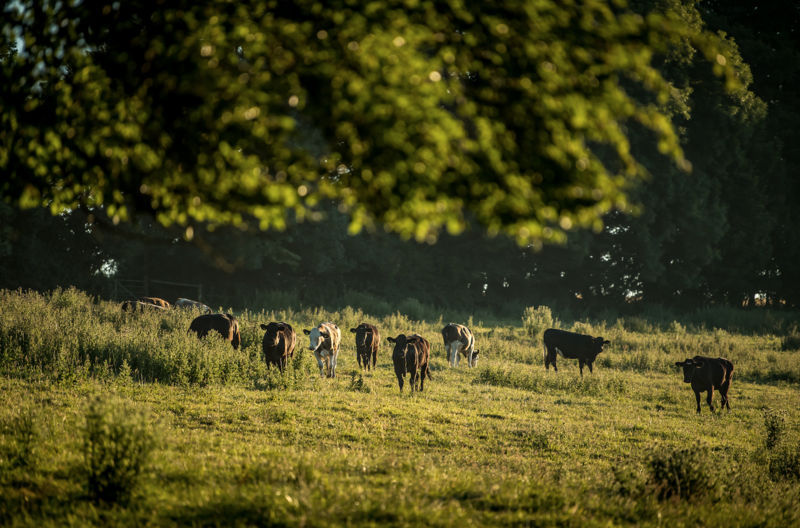 Beef animals live on the farm for about 24 months, and we keep them outside on grass for as much of that time as the West Country weather permits. When they’re not eating fresh pasture, the cattle eat hay, haylage and silage (all types of dried, semi-dried and fermented grass) that’s harvested from the farm. 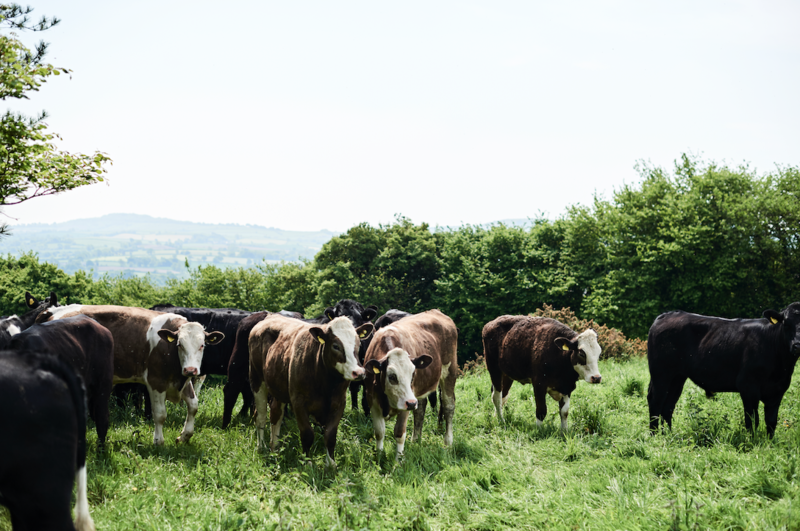 This slow-growth to natural maturity coupled with a natural grass diet is what makes our beef hearty, with well-rounded flavour, bags of character and substantial texture. Our most recent venture in beef has been the introduction of Retired Dairy Beef. 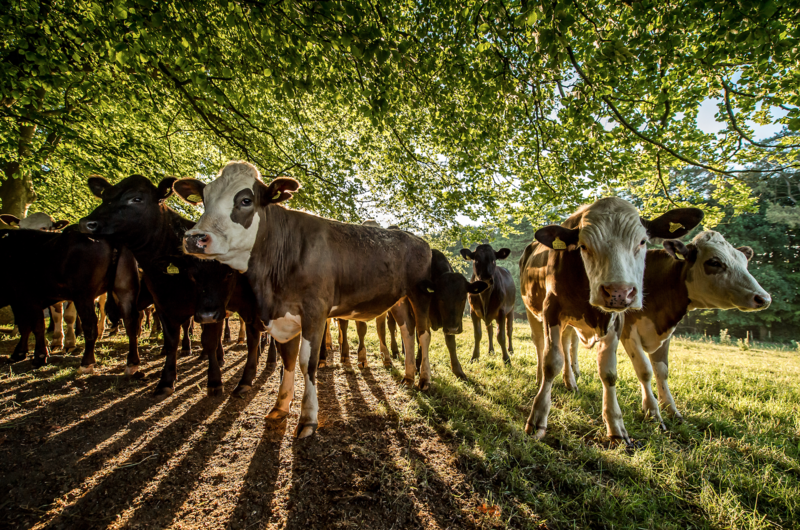 Inspired by the work of Spanish farmers who produce highly prized ‘Basque beef’ from aged cows, we now put some of our old milkers out to pasture to fatten up. The end result is deeply flavoured, beautifully marbled, characterful beef and it’s a process that makes the very best of our organic system.